since 2001. Originally from upstate New York, her life before Cape Cod included degrees in psychology and public administration and nearly 30 years as an administrator for a public pension fund. Candice's paintings are inspired by the wonderful clarity of light and depth of shadows on the Cape. 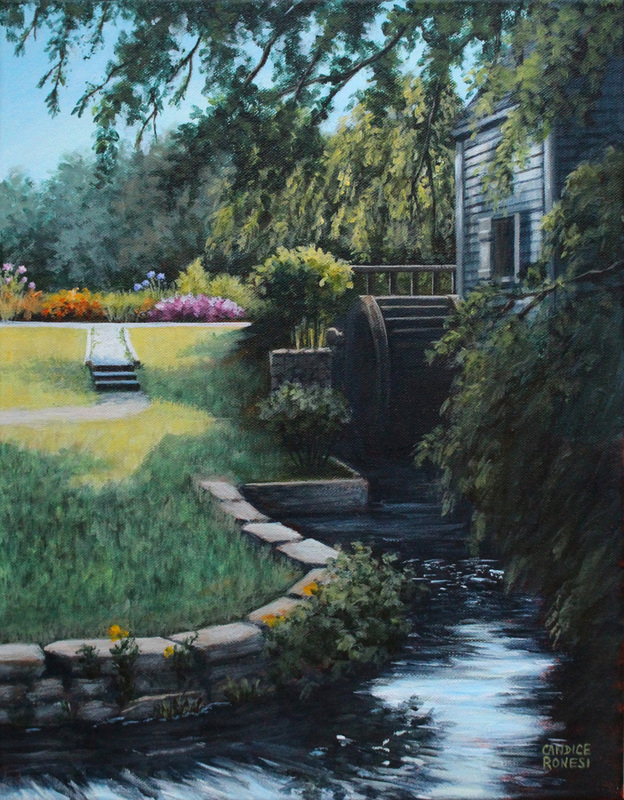 A frequent traveler of the Cape's hidden paths and byways, she paints to capture the effects of light and shadow on small, undiscovered places. Candice has been painting since 2004. She takes classes on a regular basis with several Cape Cod artists. She works in watercolor, pastel, oil and her preferred medium, acrylic.